A Detroit Land Bank demolition. Photos By Steve Neavling. The Detroit Land Bank, already under a federal investigation for improper bidding, has appeared to learn no lessons. 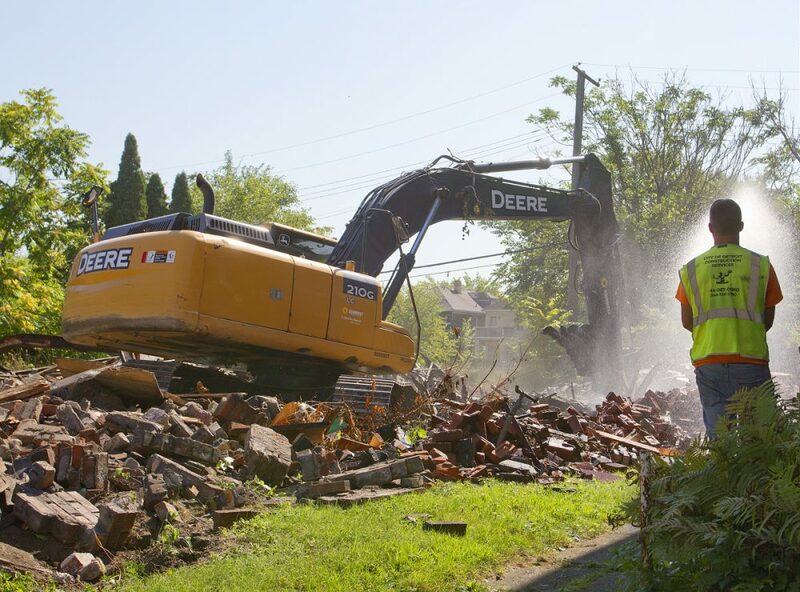 The city-run agency was forced to cancel about $2.4 million in demolition work because only one of eight companies that placed bids on the projects was deemed eligible, a violation of federal law, the Detroit Free Press reports. The demolition program, the hallmark of Mayor Duggan’s administration, is expected to result in grand jury indictments. A 4-year-old girl was killed in a go-kart accident in Detroit on Wednesday morning, police said.. The girl was riding the go-kart with her father at 3 a.m. when the dad lost control and crashed into a parked car near St. Marys and Cambridge on the city’s west side. The father also was injured. Police are investigating to determine whether to ask the prosecutor’s office to file charges against the father. Thousands of fans continued to line up to say goodbye to Aretha Franklin on Wednesday, which was the second day of public visitation services at the Charles H. Wright Museum of African American History. The Queen of Soul died died Aug. 16 following a long battle with pancreatic cancer. A funeral is set for today for the Detroit firefighter who was found shot to death inside his new house on the city’s west side. Prosecutors believe the 29-year-old was killed during a robbery committed by Arondez Carter and Shomari Walker. The 11 a.m. funeral will be at St John’s C.M.E. Church on Woodward Avenue in Detroit.